Editor’s Note: Several Montgomery County observers note that the lists below reflect the results of important high school championship meets in the Virginia High School League (VHSL) and the Washington Metropolitan Prep School Swimming & Diving League (WMPSSDL) but not Metros (which is an important championship meet for the Montgomery County Public Schools that runs February 8-11). RFTW will update all of these Top 10 lists next week after Metros to show what impact, if any, Metros has on them. As with the Relays, we searched our results to come up with the best high school times in the area for the Freestyle events. You may notice that some of these time don’t match the entry times for the Metros meet. The qualifying period for Metros includes last year’s championship, whereas we are tracking times swum from 11/2016 through 2/4/2017. 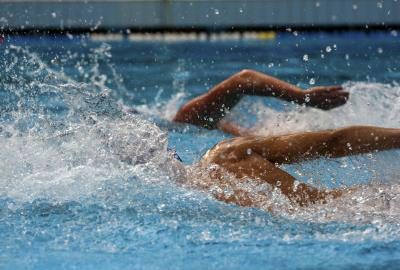 In seven of the eight events, a swimmer from VHSL leads the pack. Tommy Hallock (Oakton High School) has posted top times in the 50 & 100 free and is in reach of VHSL meet records, while Sinead Eksteen (McLean High School) has done the same in the 200 & 500 free. Also at the top of the charts is Lane Stone (West Springfield High School), with exceptional performances in the 200 & 500 Free. Phoebe Bacon (Stone Ridge School) swam the fastest in the 50 free, but will not have a chance to better her time (unless she leads off the 200 free relay) as she has opted to swim the 100 back and 100 fly at Metro’s (more on those events in tomorrow’s post). Jump to the videos captured by SwimSwam to see some of the top performances at last week’s 6A North Region meet. 5 21.11 James Hayburn SMHS 1/21/2017 National Catholic H.S. 9 21.23 Andrew Omenitsch PREP 1/21/2017 National Catholic H.S. 6 46.63 James Hayburn SMHS 1/21/2017 National Catholic H.S. 3 1:39.59 Samuel Tarter PREP 1/21/2017 National Catholic H.S. 3 4:29.95 Matthew Hirschberger PREP 1/21/2017 National Catholic H.S. Good job, RFTW. I would like to see a pre-meet analysis of the potential top 5 teams. Based on the psych sheet, there shouldn’t be too much movement in the top 5 on the boys side with the exception of one team not previously mentioned… The girls title race is a tossup. 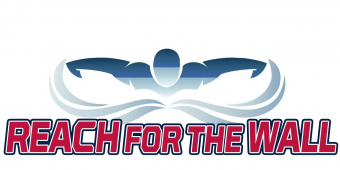 There are 3 teams that could make enough waves to win it all…we’re excited to see them race!